Very Good article and very good photo 2 ! thanks a lot ..and happy birthday frank !!!!!!!!!!!!! I left the Marines in November 1951, came to Hollywood, wrote a few songs; Dave Kent took 1 to Capitol, it was recorded by Dean Martin. Frank came over from Columbia, had voice problems for a short while and most of the people he had helped through the years, presumed he was finished and deserted him. Dave was sick about their disloyalty. I tried to get DJ’s all over the country to play his songs and most had already kissed him off and had none I requested. If you betrayed Frank, the man who was your best friend, you are nothing. Joey Bishop learned that the hard way. 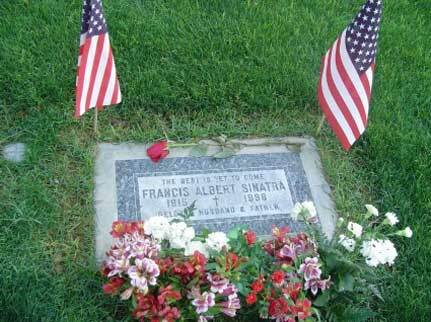 Then Frank recorded 4 songs, teamed with Nelson Riddle on many more and that became the musical marriage of the century. Then beautiful Barbara brought beauty and sanity into Frank’s life and he took it from there. From the early days until the last concert, Frank created a lover’s paradise of romance and every gorgeous lingering of every note he caressed with such great precision and phrasing. As each generation reaches the age of 30, they advance from rock, etc. whatever to Sinatra and are thrilled to the end of their lives. A miracle of musical talent.